The Presidio Café is announcing three events: an Easter brunch buffet, a brandy seminar and a pub quiz. The Presidio Café, offering American comfort food with a California cuisine flair at the Presidio Golf course, is featuring three upcoming events during April: an Easter brunch buffet, a brandy seminar and a pub quiz. On April 8, The Presidio Café will be hosting an Easter brunch buffet with reservations from 10:00 a.m. until 2:30 p.m. Brunch costs $42 per per person for adults, excluding tax and gratuity; $18 per person for kids, excluding tax and gratuity; and is free for children ages 5 and below. A ticket includes all food and non-alcoholic drinks. No a la carte menu is available. “Easter is just around the corner, so make your reservations now for our famous brunch buffet. The Easter Bunny will also be here with Easter egg hunts throughout the day,” Michael Perry of The Presidio Café said. The Presidio Café will also be offering a brandy seminar on April 18. Learn and experience the different categories of spirits and taste examples from Cognac, Jerez, Mexico, California and beyond at a rate of $25 per person. A reservation is required. Every other Wednesday, on April 11 and April 25, The Presidio Café is featuring a pub quiz event at 7 p.m.
“Bring friends for random trivia and come hungry and thirsty. It is only $2 per person. There are prizes for the first three teams and even a consolation prize for last place,” Perry said. 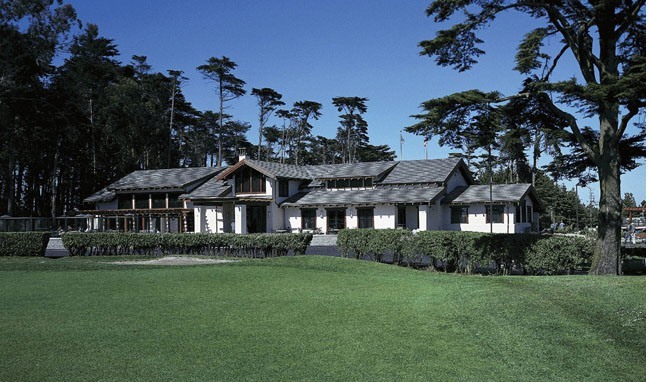 For more information about the banquet hall, event space and upcoming events or any of The Presidio Café’s products or services, call 415-561-4600, view the restaurant on the web at http://www.presidiocafe.com or visit the legendary Presidio Golf Course at 300 Finley Road in San Francisco. The Presidio Café offers American comfort food with a California flair in a casual club environment. The cafe features a selection of delicious food, coffee drinks, and a full bar of more than 75 whiskies, draft beers and wines. The Clubhouse, with its charming views of San Francisco, serves as an ideal venue for weddings and other special events. Whether it is an intimate gathering of 12 or a formal dinner of 200, the Clubhouse and The Presidio Café are sure to provide hospitality and service to satisfy all the guests.